Ventricular assist devices (VADs) help your heart pump blood from one of the main pumping chambers to the rest of your body or to the other side of the heart. These pumps are implanted in your body. In most cases they are connected to machinery outside your body. A pump. The pump weighs 1 to 2 pounds (.5 to 1 kilogram). It is placed inside or outside of your belly. An electronic controller. The controller is like a small computer that controls how the pump works. Batteries. The batteries are carried outside your body. They are connected to the pump with a cable that goes into your belly. You will need general anesthesia when your VAD is implanted. This will make you sleep and be pain-free during the procedure. The heart surgeon opens the middle of your chest with a surgical cut and then separates your breastbone. This allows access to your heart. Next, the surgeon will make space for the pump under your skin and tissue in the upper part of your belly wall. The surgeon will then place the pump in this space. A tube will connect the pump to your heart. 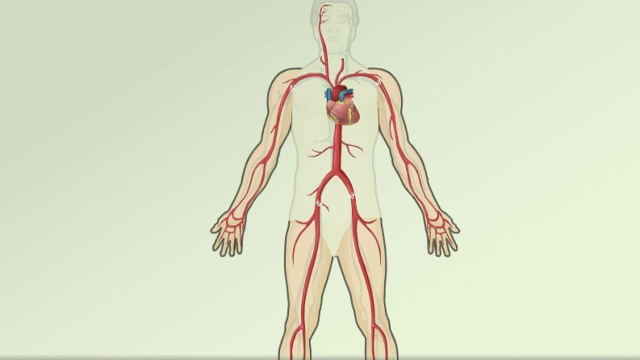 Another tube will connect the pump to your aorta or one of your other major arteries. Another tube will be passed through your skin to connect the pump to the controller and batteries. 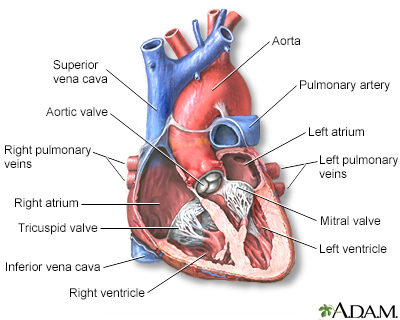 The VAD will take blood from your ventricle (main pumping chamber of the heart) through the tube that leads to the pump. Then the device will pump the blood back out to one of your arteries and through your body. Surgery most often lasts 4 to 6 hours. There are other types of VADs which can be placed with less invasive techniques to help the left or right ventricle. However, these typically cannot provide as much flow (support) as the surgically implanted ones. You may need a VAD if you have severe heart failure that cannot be controlled with medicine, pacing devices, or other treatments. You may get this device while you are on a waiting list for a heart transplant. Some people who get a VAD are very ill and may already be on a heart-lung support machine. Not everyone with severe heart failure is a good candidate for this procedure. Most people will already be in the hospital for treatment of their heart failure. Most people who are put on a VAD spend from a few to several days in the intensive care unit (ICU) after surgery. You may stay in the hospital from 2 to 8 weeks after you have had the pump placed. During this time you will learn how to care for the pump. Less invasive VADs are not designed for ambulatory patients and those patients need to stay in the ICU for the duration of their use. They are sometimes used as a bridge to a surgical VAD or heart recovery. A VAD may help people who have heart failure live longer. It may also help improve patients’ quality of life. Aaronson KD, Pagani FD. Mechanical Circulatory Support. In: Bonow RO, Mann DL, Zipes DP, Libby P, Braunwald E, eds. Braunwald’s Heart Disease: A Textbook of Cardiovascular Medicine. 10th ed. Philadelphia, PA: Elsevier Saunders; 2015:chap 29. Mcmurray JJV, Pfeffer MA. Heart failure: management and prognosis. In: Goldman L, Schafer AI, eds. Goldman’s Cecil Medicine. 25th ed. Philadelphia, PA: Elsevier Saunders; 2016:chap 59. Peura JL, Colvin-Adams M, Francis GS, et al. Recommendations for the use of mechanical circulatory support: device strategies and patient selection: a scientific statement from the American Heart Association. Circulation. 2012;126(22):2648-2667. PMID: 23109468 www.ncbi.nlm.nih.gov/pubmed/23109468.